The ethanol industry has grown tremendously in the last 25 years – and so has the International Fuel Ethanol Workshop and Expo (FEW). “The first event in 1985 had four tabletop exhibits and 36 people,” according to Mike Bryan, CEO of BBI International, which organizes the FEW. Last year, FEW 2008 featured over 4,000 attendees and nearly 1,000 exhibits. 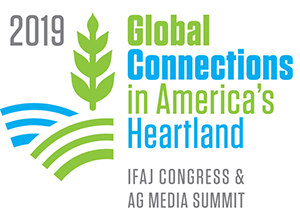 It is the world’s largest, longest-running ethanol conference. This year, FEW has joined with the 2009 International Distillers Grains Conference & Trade Show and the Advanced Biofuels Workshop, to give industry professionals the ability to attend all three shows in one trip. All three events will be held at the Colorado Convention Center in Denver, with the Distillers Grains Conference kicking it off on June 14-15. The Advance Biofuels Workshop will be held on June 15 and the 2009 FEW on June 15-18.